Mohler: The very next essay in this book you write about the end of Protestantism and that leads me to ask a very personal question: as an American evangelical Christian, do you think that Evangelicalism is in many ways the quintessential representation of the American faith and do you think that even as you write about the church in general – I actually don’t want to put a message in your mouth, I’d rather here it from you, but I get the impression that when you look at American Christianity in general, and American Evangelicalism in particular, you appear to see a church that is looking less and less like the church. Hauerwas: That’s true. I have great admiration for evangelicals for no other reason than they just bring such great energy to the faith and I admire that. But one of the great problems of Evangelical life in America is evangelicals think they have a relationship with God that they go to church to have expressed but church is a secondary phenomenon to their personal relationship and I think that’s to get it exactly backwards: that the Christian faith is meditated faith. It only comes through the witness of others as embodied in the church. So I should never trust my presumption that I know what my relationship with God is separate from how that is expressed through words and sacrament in the church. So evangelicals, I’m afraid, often times, with what appears to be very conservative religious convictions, make the church a secondary phenomenon to their assumed faith and I think that’s making it very hard to maintain disciplined congregations. Mohler: I have to tell you that one of the statements in one of your books that aggravated me was a statement in which you said that conservative evangelicals should read this book, but they won’t because they don’t read this kind of book. Actually, it aggravated me because I was reading it at the time. But I understood the point you were making, and I want to come back and just press you on this just a bit because, as an evangelical concerned with many of the same things, I just want to come back and ask: When you look at evangelicalism and you look at evangelical churches, what do you see as the particular moment that now presents us with a completely different set of challenges? In other words, be a prophet for a moment. You can do that. In other words, where is evangelicalism going to be given the increasing secularization and the hyper-modernity of our culture? Hauerwas: I think evangelicalism is destined to die of its own success and it will go the way of mainstream Protestantism because there’s just—it depends far too much on charismatic pastors, and charisma will only take you so far. Evangelicalism is constantly under the burden of re-inventing the wheel and you just get tired. For example, I’m a big advocate of Morning Prayer. I love Morning Prayer. We do the same thing every morning. We don’t have to make it up. We know we’re going to say these prayers. We know we’re going to join in reading of the psalm. We’re going to have these Scripture readings. I mean, there’s much to be said for Christianity as repetition and I think evangelicalism doesn’t have enough repetition in a way that will form Christians to survive in a world that constantly tempts us to always think we have to do something new. Here is Evangelical Portal’s interview with Lin in two parts – 1 & 2. Chuck Colson interacts with former President Jimmy Carter on a number of issues. The interesting point in the discussion is to hear Carter taking credit for the growth of Christianity in China. Carter observes that “Christianity is growing quite rapidly because of the demonstration of Christ’s teachings by those who have gone there as missionaries and so forth.” The former president echoes many of the liberal talking points, and at times implies that though Jesus is the best way, he is not the only way (a claim Colson quickly clarifies). Carter is an enigmatic figure. One can disagree wholeheartedly with his political ideologies–as I do– but at the same time find his commitment to human rights and Jesus Christ honorable. 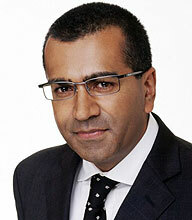 This is a terrific interview with Martin Bashir concerning his interview with Rob Bell and his faith. Thanks to Todd Leonard for the link.